Trend. To some, that's a nasty word. To others, trends serve as helpful guides. We put together the thoughts below with hopes you'd find them valuable no matter what your take on framing trends. 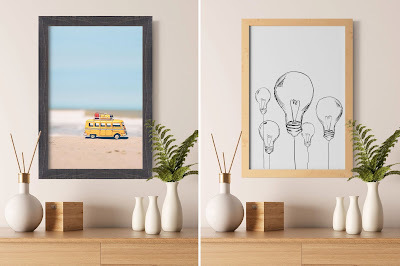 Framed art can be an amazingly versatile design element for any room; any type of building. The work and how it's presented can range from subtle to shocking, allusive to intricate. And, at their most effective, paintings and photography showcased in the right wood or metal frames might be collectively impactful. Painfully intimate. Amusing. Dramatic. Thought-provoking. Even confusing. And while framing trends can expose you to new ideas and help you identify a style you like, you never need to feel indebted to them. In terms of subject matter, don't limit yourself. 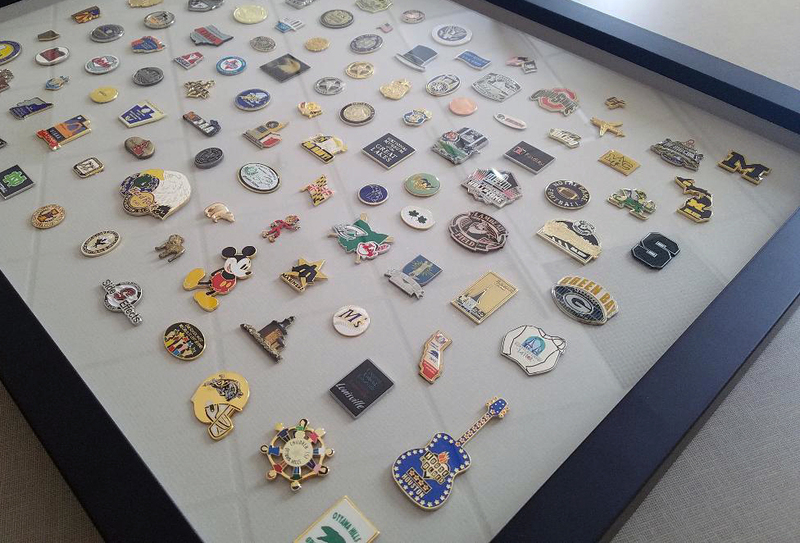 You can frame anything that can be contained within a frame or shadowbox. We've seen a series of vintage swimsuits in large, simple wood frames - and the effect was marvelous; the perfect fit for an old seaside cottage, as much as a cosmopolitan townhouse. Imagine showing off your framed collection of funky wallpaper swatches from the 1940s. What about framing old paper dolls? Colorful product packaging in the form of can labels or flattened cereal boxes? Those faded concert t-shirts from your teenage years? Beautiful old paper maps - the kind gas stations used to give away for the asking - unfolded to display the bold cover graphics and intricate Pollock-like network of backroads and highways? Any grouping of those subjects - or a thousand and one others - is sure to create a unique look that draws in you and your guests. Go ahead - give into your penchant for change - whenever you want. 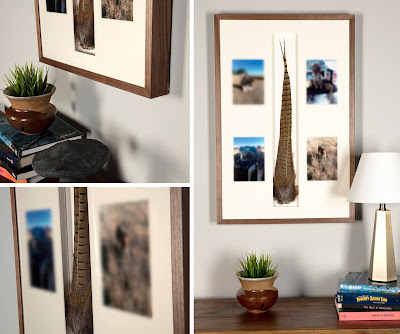 Identify a prominent wall in your home or office. Have three or four photos, posters or paintings framed specifically for that space. Then, swap them out with the change of seasons. Or with each dinner party you throw. Or even as your mood dictates. Especially if the framed artwork is large, you'll find that the look and feel of the room shifts quickly - and easily - based on which piece is occupying the wall space. With so many wood and metal frames to choose from, we make it easy to change your mind in the most creative of ways. 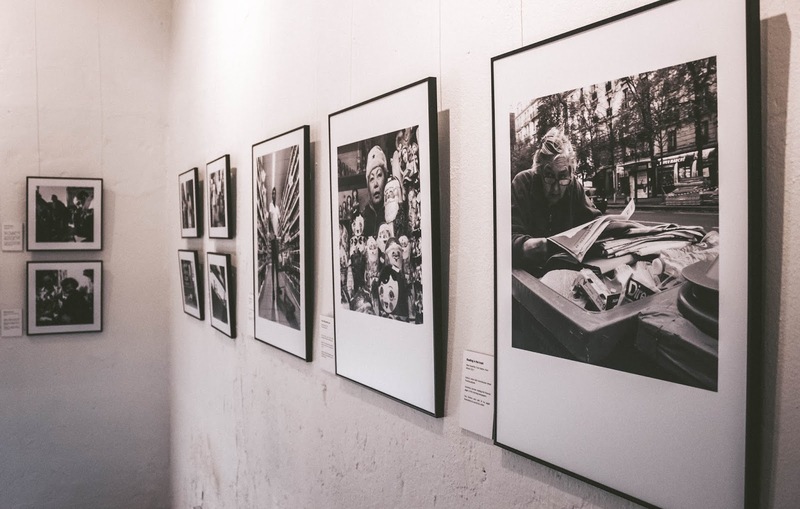 Of course, when choosing a photograph or painting for a room, you consider how it serves the space; how it complements the surrounding colors, fills the wall, supports the vibe. But have you ever thought of how the art might engage viewers at that very specific spot in your home - right there, where they're standing? Are they more likely to move in closer and look intently at your painting, giving it the study it deserves if it's hung in your home's entryway, where guests might ordinarily wait for you? Is the painting like a mood ring, in that it seems to change throughout the day? Is it open to multiple interpretations? Does it demand to be felt and absorbed over time, not with just a quick glance? If so, it may belong across from a sitting area where visitors can relax and reflect on the piece throughout the evening. There's something so satisfying about designing and assembling your own frames, whether you're an aficionado who desires a closer connection with the art, or an artist who wants complete creative control of the presentation (as well as the cost savings that come from taking on the work yourself). With our tremendous selection of wood and metal frames, mat board, framing tools and accessories, plus online tutorials and a showroom where you can learn the skill of framing, American Frame makes the process enjoyable and convenient. Trends come and go, but we've been serving those who create and appreciate art since 1973. Let us know how we can help you today. Very interesting article. I really like this minimalist style. Everything looks very simple but beautiful. Especially I like the idea of paintings with feathers.I have a question to you: I work in custom writing essay service and recently we decided to decorate our office somehow. Because it is completely new. But we can not choose what we want. Could you advice something interesting? DIY Framing is becoming trending of development. We can find suitable frames for pictures belonging with each people's hobby. To be considered for the large category, companies, including Paylocity, must have had at least 1,000 or more employees and have received at least 75 ratings across each of the eight workplace attributes from U.S.